It's been 8 long years since Liverpool last reached the Champions League knockout stages and the path that was well trodden by Rafa Benitez is now taken up by Jurgen Klopp. Liverpool reach the Quarter Finals in 2008/09 but since then the reds had two campaigns in the following 7 seasons that ended in group stage exits. The reds topped the group this time and face Portugese opposition in the last 16. The first leg, held tonight in Portugal, will be a tricky affair. It was a Portugese side that were responsible for knocking the reds out at this stage when we were reigning European Champions in 2005/06. Virgil van Dijk could be amongst the numerous players making a Champions League knockout stage debut. He has played 19 times in the competition previously for Celtic - however the vast majority of those games were in qualifying games. 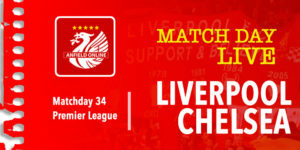 Follow the build up to the match and the game itself with us below. It seems a while since that 6th December, 7-0 victory over Spartak Moscow that ensured Liverpool qualified for the Champions League knockouts top of their group. And let's not forget that wasn't the only 7-0 win over the group stage. The reds handed out a similar beating to Maribor away from home. But it's the serious end of the competition now for Liverpool - and the reds have made it to the knockouts after 2 unsuccesful attempts in the past 8 years. Rafa Benitez as the last Liverpool manager before Klopp to take the club into the knockouts. Since the change in structure of the European Cup, Liverpool have only been knocked out at the last 16 stage once before - and that was also against Portugese opposition - v Benfica the season after the reds won the competition in Istanbul. 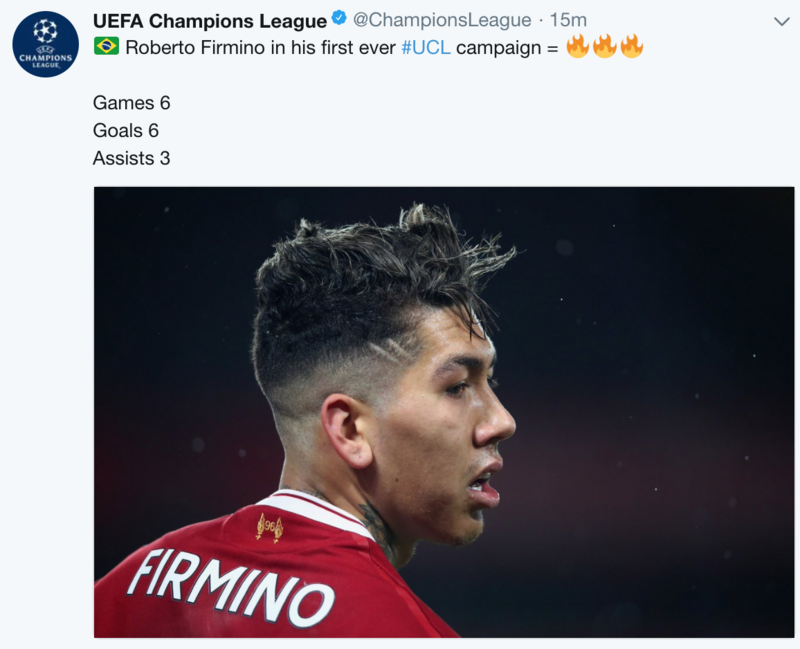 Roberto Firmino is the reds top scorer in the Champions League. He actually has 7 goals if you include the qualification round the reds played in v Hoffenheim to reach the group stage. Liverpool's exploits up front are well noted. The goalscoring exploits of Liverpool under the German boss are well noted. In fact, since the war, Klopp's Liverpool are second only to Dalglish (1995-1991 team) in terms of goalscoring rate - and that gap is paper thin at the moment. Key difference between those two managers however has certainly been in defence - and it is this that will be once again under test against Porto. But the arrivals of Robertson and van Dijk this season, coupled with a goalkeeping change since the turn of the year, means that this is an area clearly in his radar. 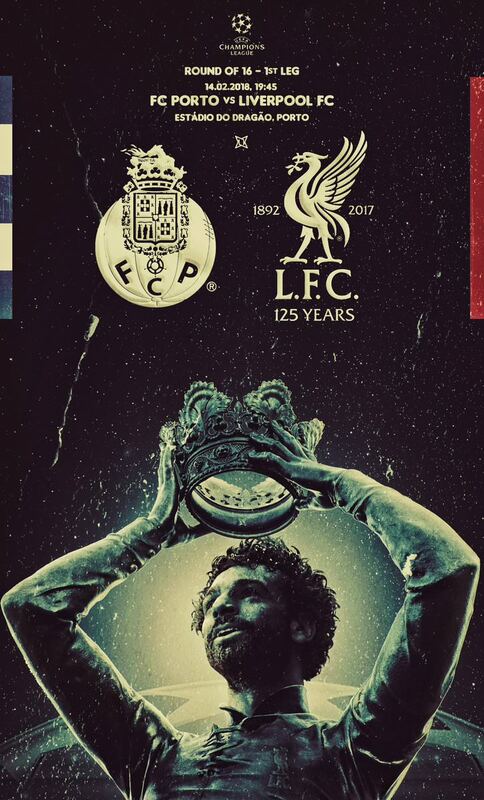 The LFC matchday image for today's game was designed by @marin_matic and features Mo Salah - our 'Egyptian King'. There have been 4 competitive fixtures between Portugal and England's most succesful clubs in Europe. Porto actually won their two European Cups in the time period between Liverpool's 4th and 5th European Cup triumphs. Here's when we faced them. The 1st leg of the UEFA Cup Quarter Final saw Gerard Houllier's man produce a dogged defensive display, symbolic of their campaign. A week later Liverpool did the business in the second leg, sending us on to the semi-final. Danny Murphy and Michael Owen grabbed the goals - with Steven Gerrard on hand to create both. Liverpool would go on to win the UEFA Cup. 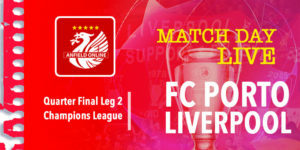 The away game in the group stage started the campaign for Liverpool - who had been beaten in the European Cup final by AC Milan only 4 months earlier. Lucho Gonzalez put Porto in the lead - Dirk Kuyt equalised for the reds - and then Jermaine Pennant got sent off on the hour mark. As the group stage progressed, Liverpool were in some trouble. They only had one point from the opening 3 games and needed all final three games to be wins. We started in good style by beating Besiktas 8-0 in matchday 4. This game v Porto was matchday 5. Fernando Torres and Lisandro Lopez made it 1-1 at half time. 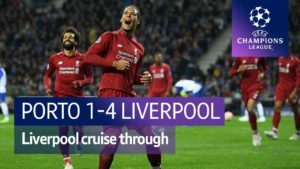 Then the reds scored 3 goals in the final 15 minutes, with Torres, Gerrard and Crouch making it more comfortable than the previous 75 minutes had suggested. The reds would go on to qualify out of the group and reach the semi-finals yet again - although this time Chelsea finally beat the reds at that stage at their third attempt. Man City cruised to a 4-0 win in Basel, whilst Spurs came from two goals down to get a valuable 2-2 draw in Juventus. In the other game tonight Real Madrid host Paris St Germain. Next week Man United travel to Sevilla, and Chelsea are at home (they finished 2nd in their group) against Barcelona. The other two ties next midweek are Bayern Munich v Besiktas, and Shakhtar Donetesk v AS Roma. It's currently 12 degrees celsius in Oporto, and there's a chance the rain showers could get a bit heavier during the game. We've got about ten minutes until the teams are announced! Liverpool are marginal favourites for tonight's game at around 6/5. Porto are at 5/2 for the win as is the draw. Liverpool have won 7-0 twice already? That's rated at a whopping 500/1! The expected scoreline according to the bookmakers is 1-1. Liverpool make three changes, Lovren in for Matip, Henderson in for suspended Emre Can, and Milner in for Oxlade Chamberlain. They are on an unbeaten 24 game run in all competitions. Here's the Porto side for tonight. José Sá; Ricardo, Reyes, Marcano, Alex Telles, Herrera, Sérgio Oliveira, Otávio, Brahimi, Marega e Soares. Porto's home record against English clubs is W8 D6 L3. Their last game against Premier League visitors brought a 5-0 win against already-qualified group winners Leicester City FC on matchday six last season. I think it's normal that you respect an opponent in the last 16. They are very experienced in Europe and very succesful in the Portugese league. We need to show a real serious performance. They have different options, and play real football, so we need to be spot on from the first second. We need experience (explaining team selection). We need to be ready for this fight. It will be a fight. It will be physical. But that's all normal because this is the Champions League. Unfortunately I'm always optimistic. I'm really happy to be here with my boys. Let's go and play football. 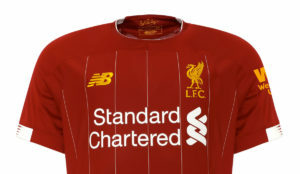 Liverpool once again wearing their orange strip for this tie. The Champions League anthem has played. We are underway in a very wet Porto! 4' Early corner for Porto as TAA puts it behind. 9' Brahimi causing some problems down their left hand side. Alexander-Arnold and assistance from Wijnaldum forces the ball out from danger. And a mistake from Lovren gives Otavio a wonderful chance but the ball deflects over. 12' Andy Robertson is the recipient of a ball outside the corner of the penalty area and he fires his shot over. The 23 year old Scottish player is of course making his Champions League debut. 16' Good defending from Alexander-Arnold. He doesn't allow Brahimi to take the ball around him near the touchline and it's out for a goal kick. Cagey start from the reds. Porto look physically strong and keen to attack. It's congested and eventually it's another corner. 22' Robertson swings the ball into the danger zone. Firmino can't get his head on it. Porto race up the other end and win themselves a corner. 29' And Mo Salah makes it 2-0! Wonderful few moments for Liverpool - he took his time there with that finish. Mo Salah's goal there was his 30th of the season for Liverpool. This is his 36th game as a Liverpool player. "The King of Egypt" ???? Magical quick thinking from Salah gives Liverpool a second away goall ???? 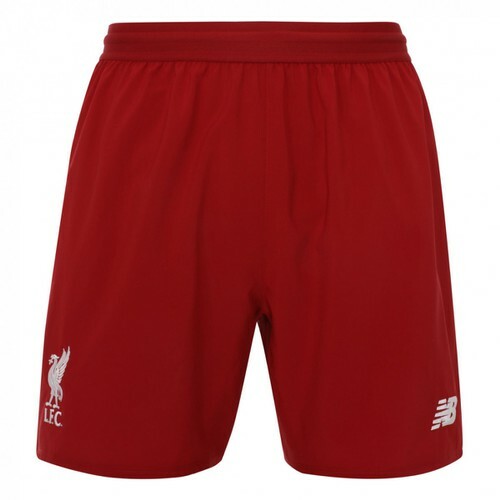 41' Those two quick goals for Liverpool have knocked the stuffing out of Porto now and the reds (oranges) are well on top. 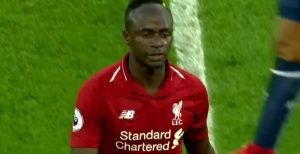 Mane reacted quickest to finish for his goal - after he had initially played a poor pass into the area. And then Salah does a foot and head keepy up before scoring his 30th of the campaign. 44' Soares finds himself with some space in the area - he shoots and van Dijk gets a touch that sends it wide. Ref doesn't spot it and it's a Liverpool goal kick. Just the one minute of stoppage time this half. Mo Salah just the 13th player in the club's history to score 30 goals in a season, according to BT Sport. Firmino probably won't be far behind him. BBC Radio 5 Live comparing the LFC team of 2005 with today. They won the tournament. But which one is better? Porto get this half underway. Liverpool leading 2-0. Otavio went off and replaced by Jesús Corona. 53' Sadio Mane makes it 3-0 with another quick breakaway. Firmino's shot saved, Mane collects the rebound. 63' They may have given up on this now. 64' A big looping cross from Alexander-Arnold - Firmino is racing in to get it and throws his leg at it but it beats the Brazlian who is looking to get his name added to this scoresheet. Can Sadio get a hat-trick? 70' Ball across from Milner and there goes Bobby Firmino to add our 4th and his 21st goal of the season. 77' Some head tennis inside the Porto area, Firmino gets the final touch and he puts his header over. Liverpool have gone to three at the back after that substitution of Henderson. 79' 10 minutes left - Joe Gomez comes on for Trent Alexander-Arnold. And another Champions League debut - Danny Ings on for Roberto Firmino. 83' The stadium is starting to empty here. This result was probably beyond Liverpool's wildest dreams and it NEARLY GOT BETTER but Robertson's cross is then put over the bar by Mane - although it did take an unlucky bounce. 86' There it is the hat-trick man for Liverpool - Sadio Mane!! He lashes that in with some pace. 90+1 There isn't long left now. Still time for another goal reds? Mane: 'It wasn't an easy game even if we scored 5 goals. We did it. We played great football. My third goal was the most pleasing. But in the meantime a reminder we mentioned earlier on today. Those 5 goals mean that Jurgen Klopp overtakes Kenny Dalglish in terms of number of goals scored per game by their respective Liverpool teams. Another clean sheet to add to the collection as well suggests that things are moving in the right direction there too. 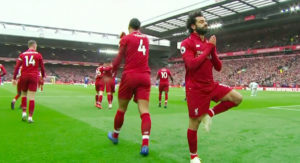 'When you see Salah running back to winning the ball - it's fantastic. Robo played outstanding. He found his crosses again - I thought he'd left them in Scotland. Sadio Mane - man of the match with three fantastic goals, Firmino's work-rate outstanding. Will they enjoy themselves now? 'None of them drink. If we get drinks in I have to drink them. They can stay a little bit longer awake. Another huge win for Liverpool in this season's Champions League. The reds look solid favourites to get themselves into the Quarter Finals of the Champions League. We will be updating the Porto 0-5 LFC match report shortly.